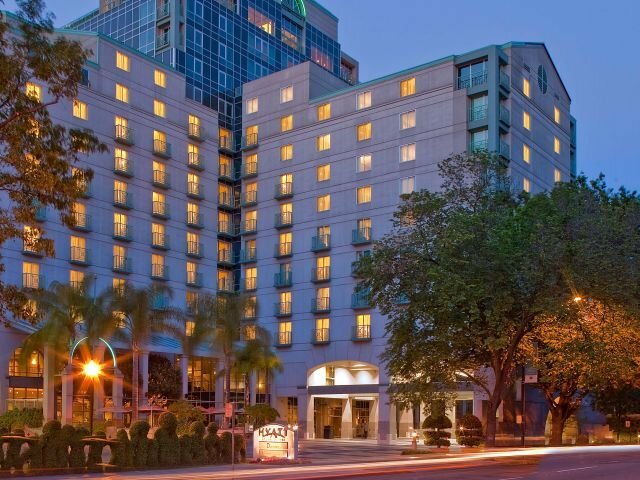 Located across the street from the California State Capitol, the contemporary hotel in downtown Sacramento offers passionate hospitality and inviting spaces where everyone gets the VIP treatment. Designed for the modern traveler, the hotel features spacious rooms and suites, a fitness center, full-service spa, and resort-style pool with a hot tub and cabanas. The hotel is just steps from exciting shopping, theaters, landmarks, and popular attractions, like Old Sacramento Waterfront and Golden 1 Center.